* This month we are seeking photos featuring: AOA artics. If you submit such a photo, you may still submit 2 other new photos (3 photos in total). Submissions close midnight 27 May, Australian Eastern Standard Time. Voting will commence on 28 May. Voting will close on 31 May/1 June. 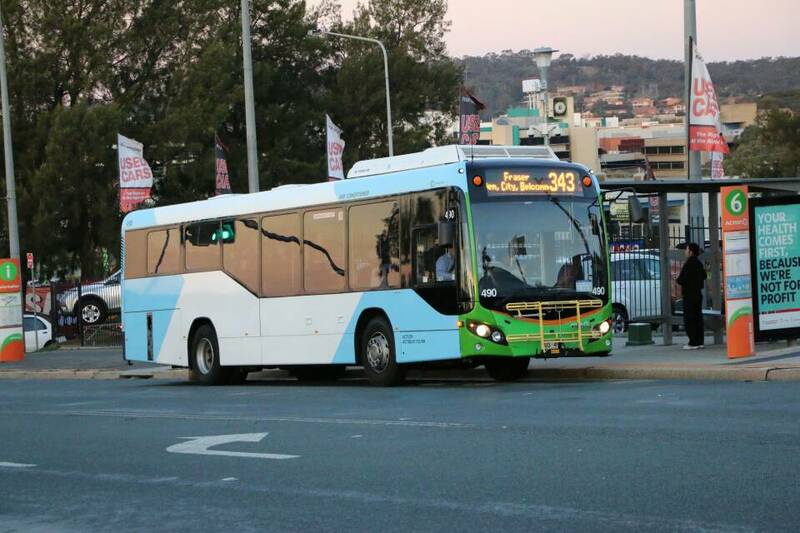 Bus 455 on Alinga Street running a Belconnen bound Blue Rapid (300) service during peak hour. Buses exiting City Canteen bound for the Southside. Bus 585 at City West. 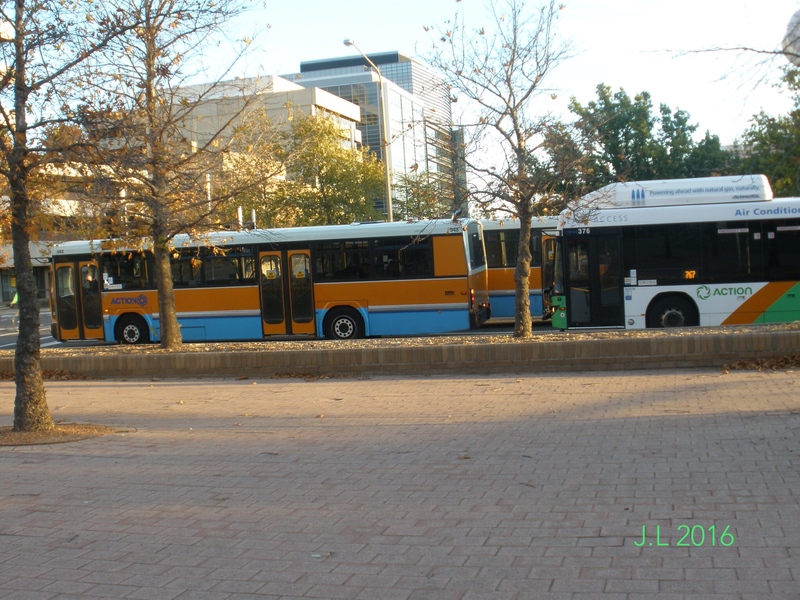 Including BUS.535, about 7 artics plus a Euro 6 or two, parked on Fairbairn Ave before dawn on ANZAC Day. 508 enters Gungahlin on an ANZAC Day shuttle. 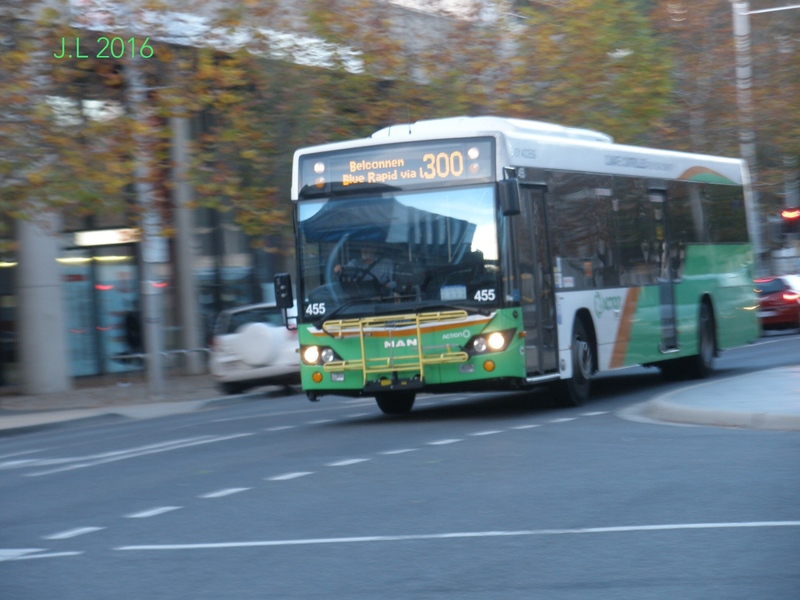 511 parked on Limestone Ave before picking up passengers after the 2016 Dawn service.